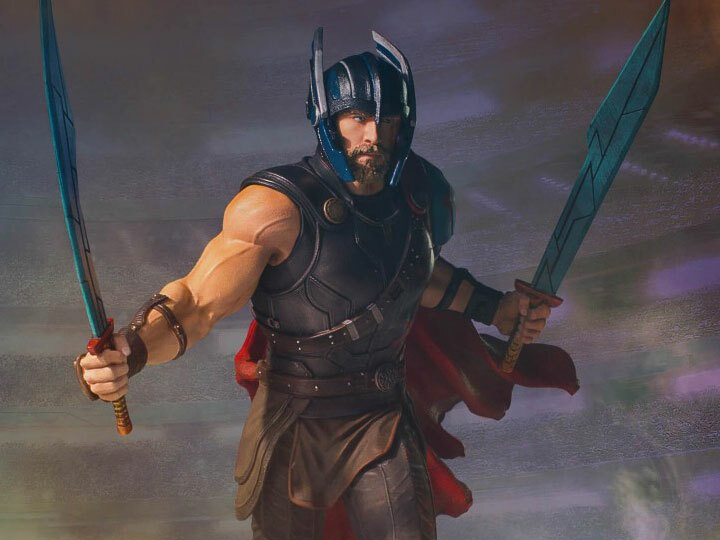 Imprisoned on the other side of the universe, the mighty Thor finds himself in a deadly gladiatorial contest that pits him against his former ally and Avengers team-member the Hulk! Thor finds himself without his hammer or his powers and a pawn of the Grandmaster and his games. 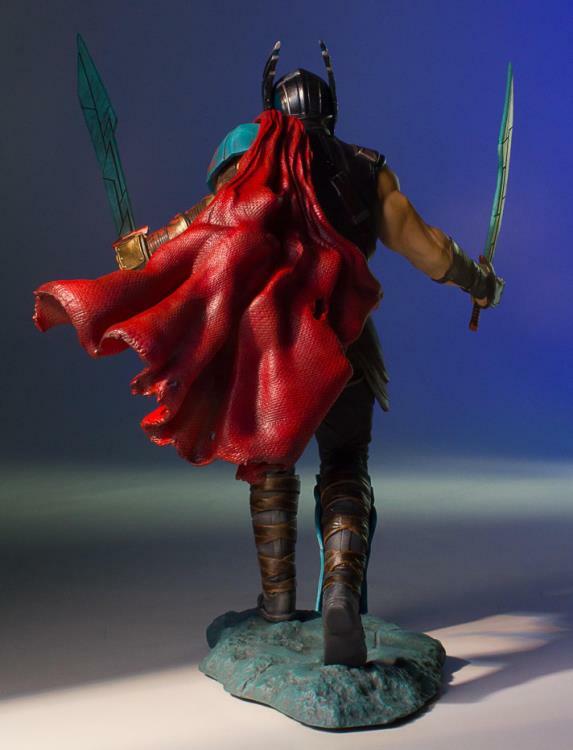 Thor's quest for survival leads him in a race against time to prevent the all-powerful Hela from destroying all of Asguard. 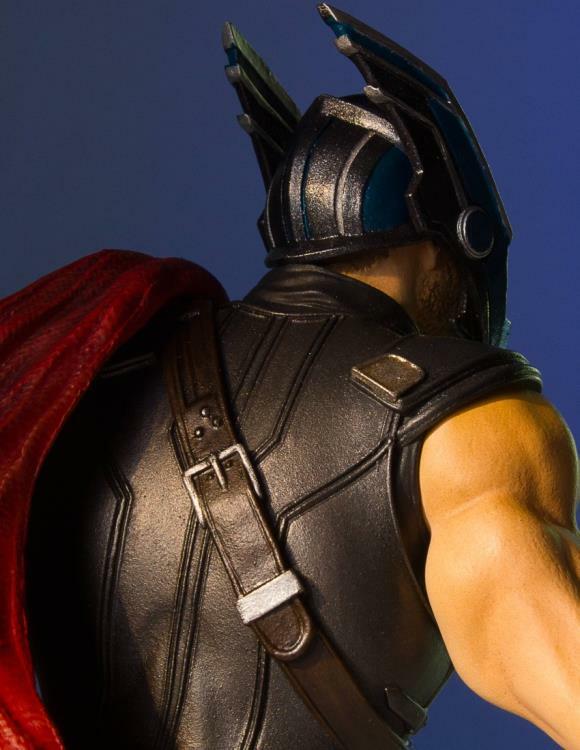 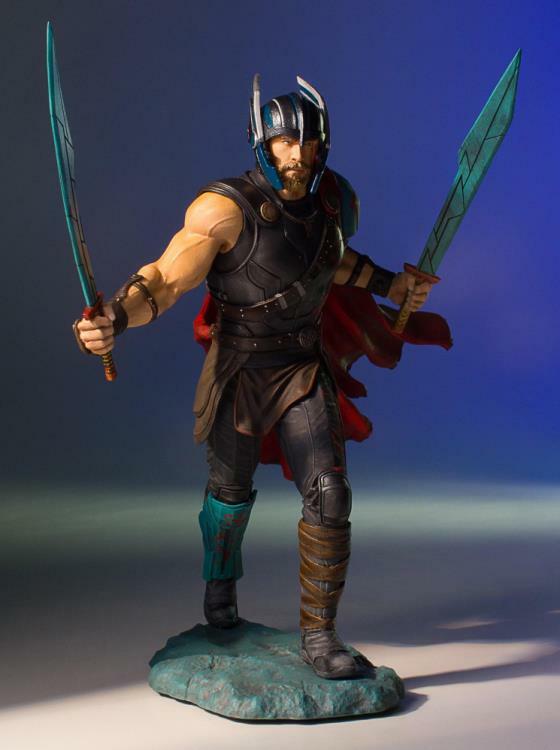 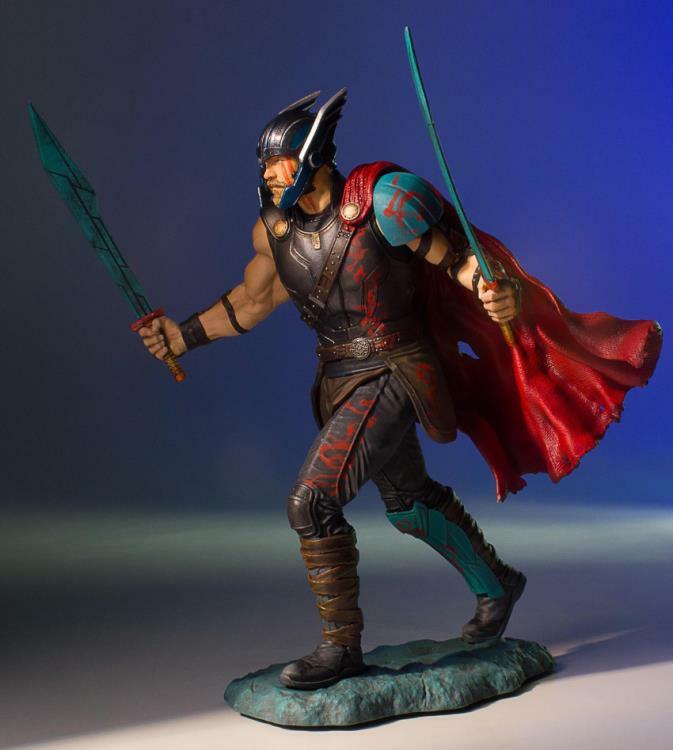 Straight from his silver-screen appearance in the Thor: Ragnarok feature film, the Thor Collector’s Gallery Statue has been digitally sculpted down the minutest detail, and hand-painted by the amazing artisans of Gentle Giant Studios. 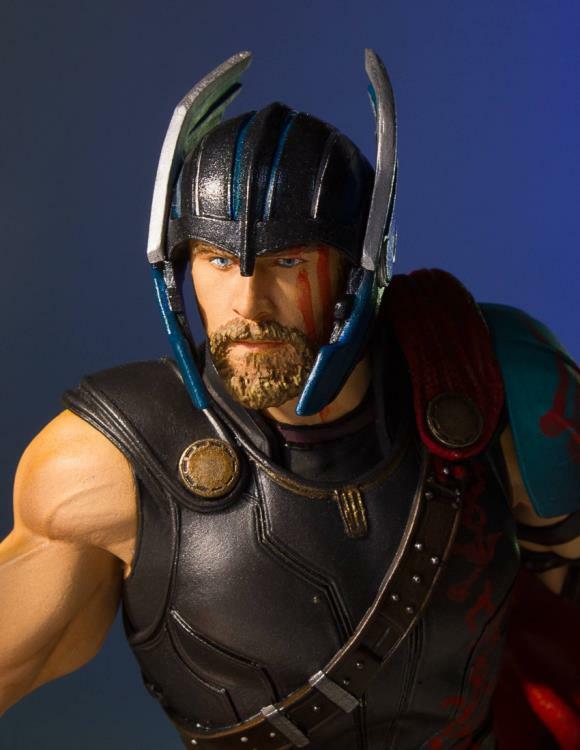 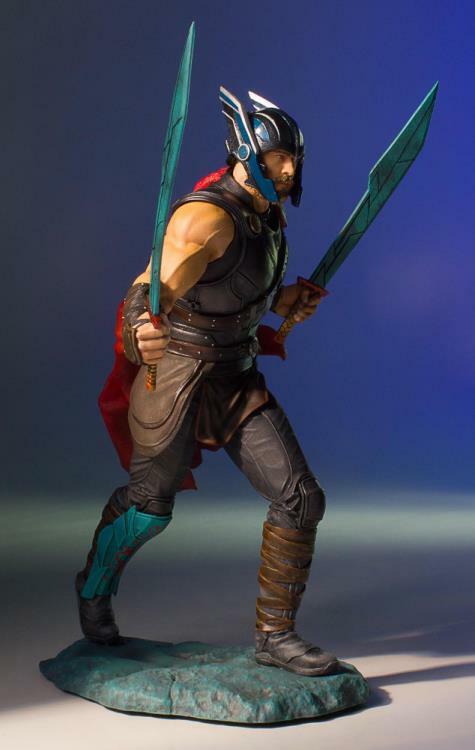 Thor is decked out in his gladiator arena armor with his helmet, cape and double swords and features a stunning likeness to actor Chris Hemsworth. 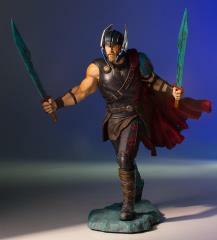 This 1:8 scale statue of Thor is the 6th in the Marvel Collector’s Gallery statue line. 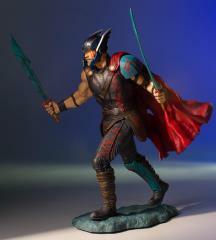 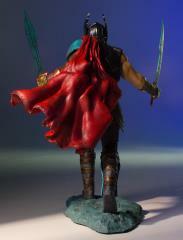 You can display this piece on its own or with the gladiator Hulk Collector’s Gallery statue(sold separately). 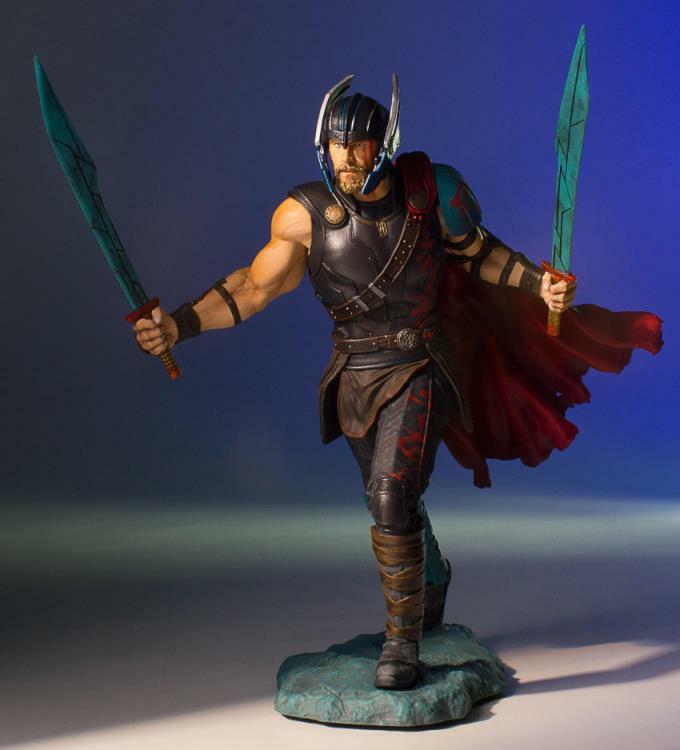 The statue comes with a hand numbered with certificate of authenticity.